Ubisoft has confirmed to Eurogamer that both games are safe and still in development. Last night Ubisoft announced it had cancelled a number of planned titles as part of an internal restructuring exercise. "Ubisoft has taken measures to adapt its structure to major changes in the industry by reorganising the roles and operations of its studios, which has resulted in the termination of certain projects," Ubisoft said in its financial report. "Terminated projects were unannounced projects," a Ubisoft spokesperson told Eurogamer this morning. However, when asked for an update on both games, all Ubisoft would offer was: "We have nothing new to report on those two titles for the moment." Last we heard survival disaster game I Am Alive had been transformed from a full retail release into a PlayStation Network and Xbox Live download game. In January 2010 we learnt that I Am Alive wouldn't be released until some time in or after April 2011. That, obviously, hasn't happened. Developer Darkworks was booted off the project and I Am Alive was handed to Ubisoft's new Shanghai studio. Ubisoft CEO Yves Guillemot has mentioned the game was being "totally re-engineered", which could explain the switch to PSN and XBL. In February Beyond Good & Evil HD producer Wang Xu told Eurogamer to "keep the faith" with regards to a sequel. When asked whether the Xbox Live Arcade and PlayStation Network re-release was being used as a test balloon to gauge consumer interest in the franchise, Xu was similarly coy. "Yes it is true; please buy Beyond Good & Evil HD if you want more BG&E games :)" he wrote, before adding, "For real... I don't know." 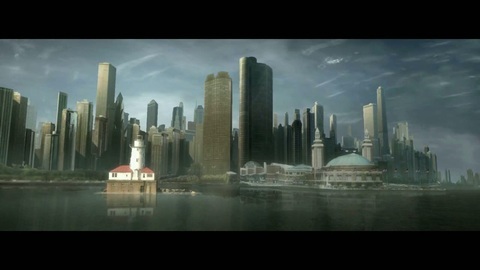 Following a brief teaser trailer unveiled in May 2008, Ubisoft has released no further formal information about the proposed sequel.